Just two hours away from the city is the picturesque coastal village of Uttan that’s been around since the Portuguese inhabited it ages ago. Amidst a community mostly populated by fishermen, this gorgeous villa is set atop a hill, with a view that speaks volumes about the beauty the coastal belt has to offer. About two hours away from the city, you can drive down to Uttan or even take the local transport to the region. From there, you can drive down to the property. Please note that you will only know the exact location of the villa once your booking is confirmed. The villa has three spacious bedrooms, with a different view of the sea from each window. You can sit by the pool and catch up on your reading or even take a dip if it fancies you. What’s really special is that during sunrise or sunset, you can see boats out in the sea or parked at the dockyard, with lanterns that have been lit. It makes for a spectacular view, perfect if you’re into Instagramming nature and still life at its best. 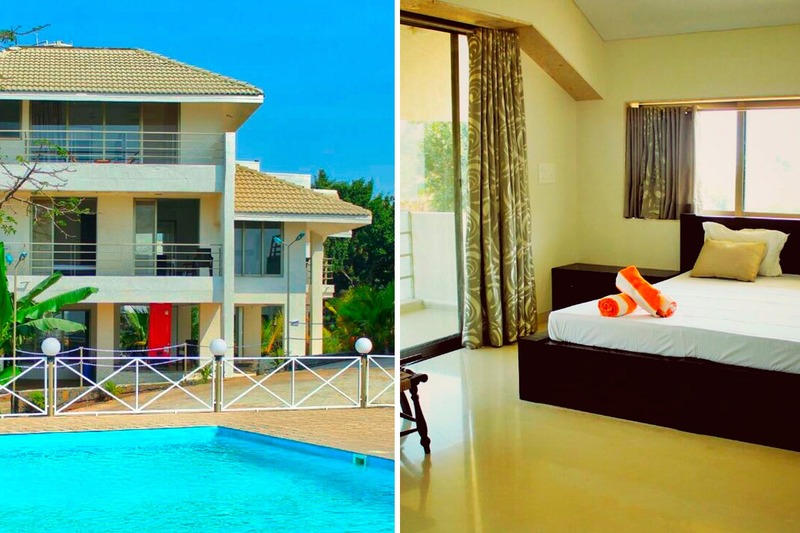 The villa can accommodate 15 people and has all the modern amenities like a working kitchen, car parking, outdoor shower system with the swimming pool and even a cook that’s available on call. There are a lot of activities around the area, so here’s a guide to Uttan that can help. The villa will cost you INR 15,000 per night for eight people on weekdays and INR 19,500 per night for eight people on weekends. With the long weekend just around the corner, you can plan your entire stay and just relax by this gorgeous villa.